An t-seachdain seo bha sinn ag ionnsachadh mu dheidhinn Èirinn agus bha sinn cuideachd a’ comharrachadh Là Naobh Phàdraig. 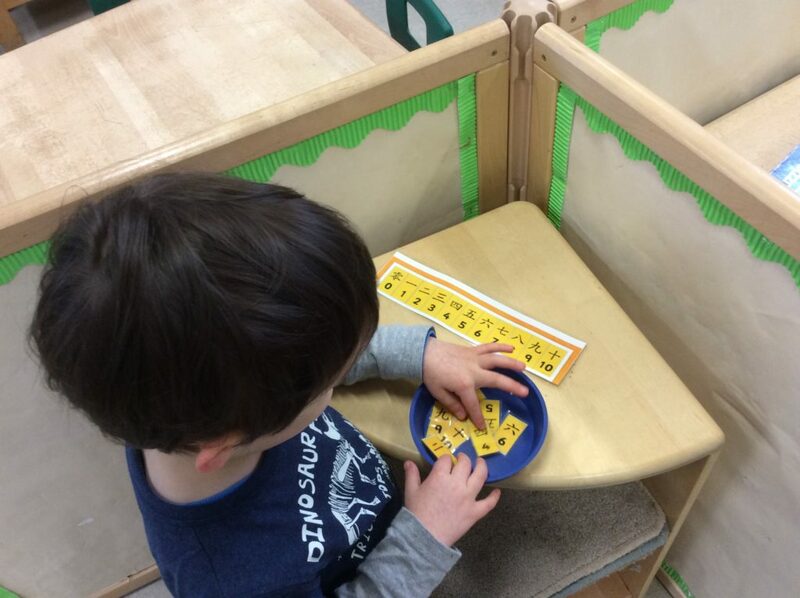 Bha sinn gu math fortanach gun tainig dithis dhan na mamaidhean Èireannach againn a-steach dhan Sgoil Àraich. 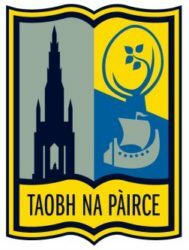 Bha iad ag innse dhuinn mu dheidhinn Èirinn agus a’ leughadh stòiridhean Èireannach dhuinn. Abair spòrs! 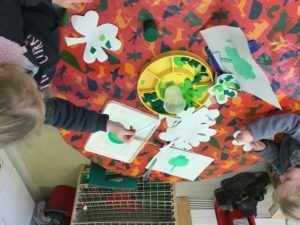 This week at Sgoil Àraich we have been learning about Ireland and we have also been celebrating St. Patrick’s Day. 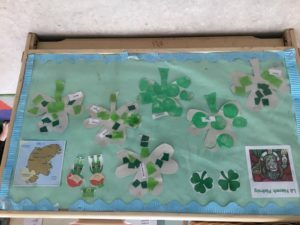 We were very fortunate that two of our Irish Mums came in to nursery to tell us all about Ireland and to read us some Irish stories. An t-seachdain seo bha sinn ag ionnsachadh mu dheidhinn an Sealainn Nuadh. Thainig Amanda, tè de na mamaidhean againn a-steach agus dh’innis i dhuinn mu dheidhinn na diofar eòin a tha rim faicinn anns an Sealainn Nuadh. Chuala sinn mu dheidhinn an kiwi, an fantail agus an tui. 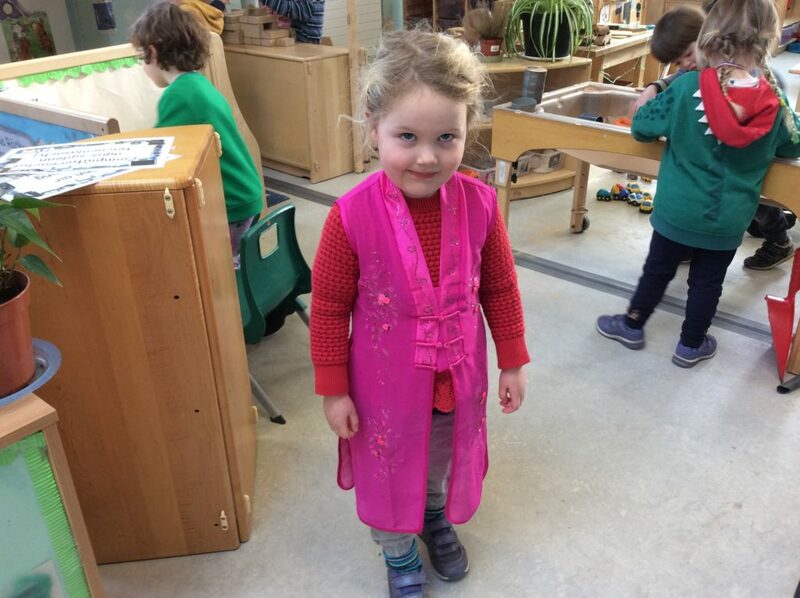 Leugh Amanda sgeulachd dhuinn mu dheidhinn an fantail agus an nuair sin dh’ionnsaich i òran-obrach Maori dhuinn. 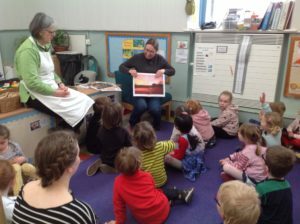 This week we have been learning about New Zealand. 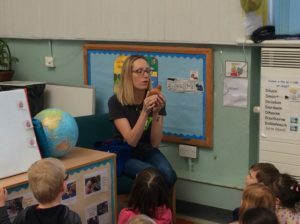 Amanda, one of our nursery mums very kindly came in to tell us all about her homeland. 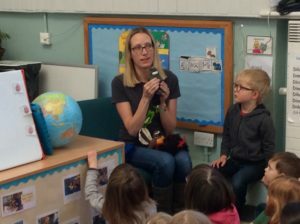 Amanda told us all about the different birds that are native to New Zealand. We learnt about the kiwi, the tui and the fantail. Amanda then read us a story about the fantail and then taught us a Maori action song. 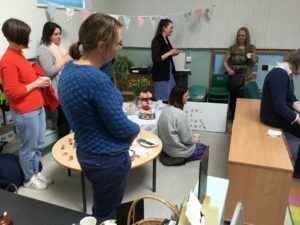 Anns an sgoil àraich bha sinn a’ bruidhinn mu dheidhinn Co-ionnannachd Gnè. Tha sinn air leughadh leabhar sgoinneil leis an t-ainm ‘Alex & Charlie’ agus tha e a’ toirt oirnn tuigsinn gum faod sinn dèanamh obair sam bith a thogras sinn nuair a dh’fhàsas sinn mòr agus gum faod boireannaich agus fìr a h-uile seòrsa obarach a dhèanamh. 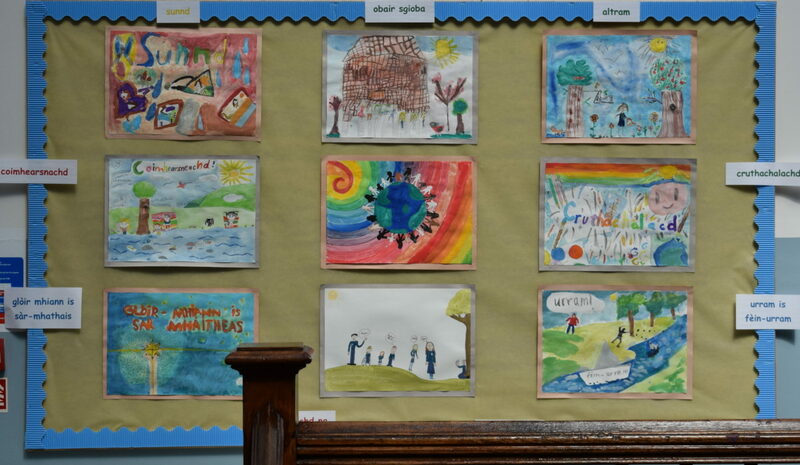 In sgoil àraich we have been talking about Gender Equality. 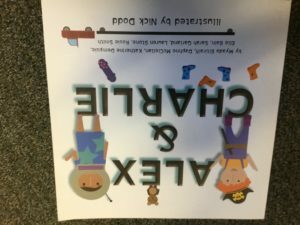 We have been reading a fantastic book called ‘Alex and Charlie’ that helps us to understand that we can do any job we would like to do when we grow up. 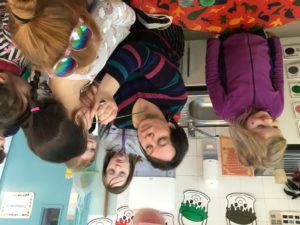 The book helped us to understand that there are no jobs that are gender specific and that grown-ups can do any job regardless of whether they are male or female. Abair spòrs a bh’ againn an t-seachdain seo. Chunnaic sinn dealbh-chluiche sgoinneil leis an t-ainm Hùb Hàb a rinn Fèisean nan Gàidheal. Am bliadhna seo bha an dealbh-chluich mu dheidhinn sàbhailteachd air na rathaidean. 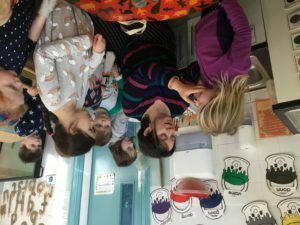 Chunnaic na sgoilearean a bhios a’ tighinn dhan sgoil àraich sa mhadainn agus na sgoilear a bhios a’ tighinn dhan sgoil àraich san fheasgair an dealbh-chluich ann an talla-mhòr na sgoile. 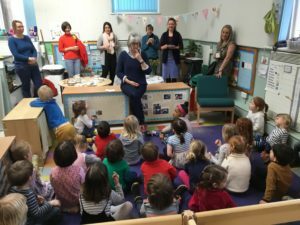 ‘S e Catriona NicNeacail; a tha a’ dèanamh trèanadh airson EYP còmhla rinn san Sgoil Àraich gach seachdain tè de na cleasaichean. Cha robh sinn ag aithneachainn Catririona anns an èideadh aice! 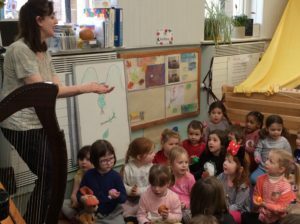 The children enjoyed a lovely show performed by Fèisean nan Gàidheal. 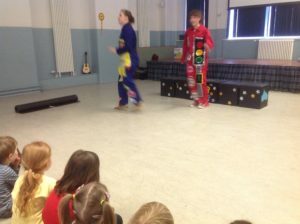 This year’s Hùb Hàb performance was all about road safety and both the morning and the afternoon children had the opportunity to attend one of the shows, which they performed in the school hall. 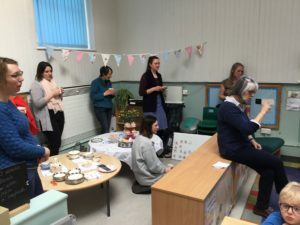 Catriona Nicolson, who is doing her Early Year’s Practitioner placement training with us every Thursday, was one of the performers. 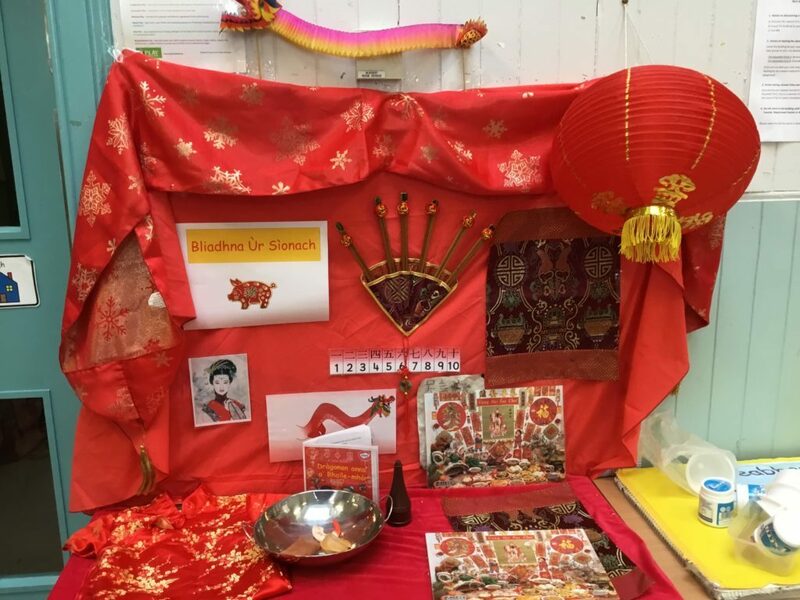 The children enjoyed seeing Catriona in character abut didn’t recognise her in her costume! Bha tè de na sgoilearan againn a’ tabhail air an sù. 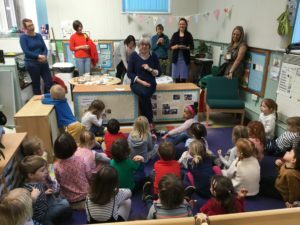 Bha ùidh aice as na beathaichean a chunnaic i aig an sù agus mar sinn chuir sinn air dòigh cothroman cluich le beathaichean an dlùth-choille anns an sgoil àraich. Abair gun robh spòrs againn a’ cluich an seo. 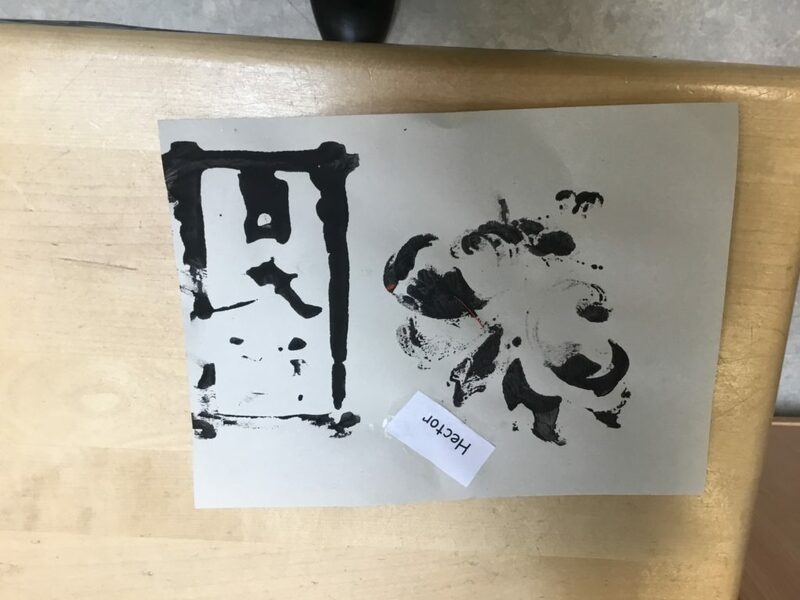 One of our learners recently visited the zoo. 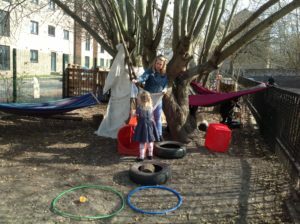 She had a great time there and told us all about the animals that she saw so we decided to set up our own jungle in nursery. 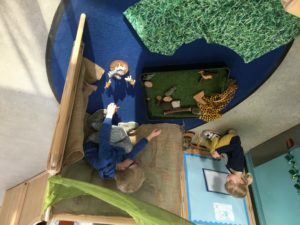 The children have had a great time playing with the jungle animals. Leanabh beag a’ tabhail oirnn! Tha sinn air tòrr ionnsachadh mu dheidhinn dè mar a bhios sinn a’ coimhead as deidh leanabhan. 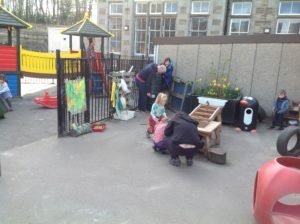 Tha sinn air a bhidh a’ coimhead as deidh na doilichean san Sgoil Àraich. Bha sinn gu math fortanach nuair a thainig Frances a-steach a chèilidh oirnn leis an leanabh beag aice. Bha Frances ag innse dhuinn ciamar a bhios i a’ coimhead as deidh a leanabh aice agus a’ freagairt na ceistean a bha againn mu dheidhinn leanabhan. 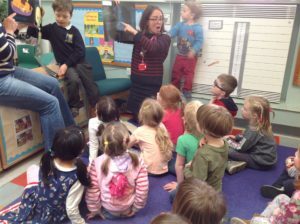 The children have really enjoyed finding out about babies this term. 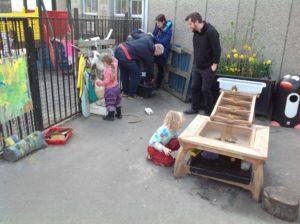 They have participated in lots of role play activities with the Sgoil Àraich dolls and have enjoyed looking after and caring for them. 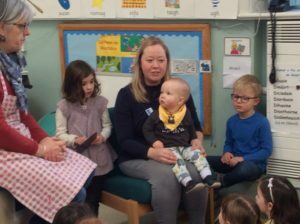 We were also able to find out all about how to care for a real baby too! 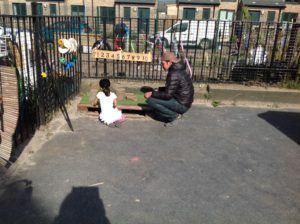 We are very fortunate that Frances, one of our mums gave up her time to come in with her baby. 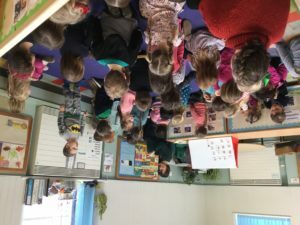 Frances was able to answer all the children’s questions on how to care for real babies!